For the English nonfiction author known as Dr. Mike, see Michael Arnheim. For the American celebrity doctor, see Mikhail Varshavski. For the politician, see John M. Ford (Shreveport). Ford was born in East Chicago, Indiana, and raised in Whiting, Indiana. In the mid-1970s he attended Indiana University Bloomington, where he was active in the IU science fiction club and Society for Creative Anachronism (using the name Miles Atherton de Grey); while there, he published his first short story "This, Too, We Reconcile" in the May 1976 Analog. Ford left IU and moved to New York to work on the newly founded Isaac Asimov's Science Fiction Magazine, where, starting in mid-1978, he published poetry, fiction, articles, and game reviews. Although his last non-fiction appeared there in September 1981, he was tenth most frequent contributor for the 1977–2002 period. About 1990, he moved to Minneapolis. In addition to writing, he worked at various times as a hospital orderly, computer consultant, slush pile reader, and copy editor. Ford suffered from complications related to diabetes since childhood and also had renal dysfunction which required dialysis and, in 2000, a kidney transplant, which improved his quality of life considerably. He was found dead from natural causes in his Minneapolis home on September 25, 2006, by his partner since the mid-1990s, Elise Matthesen. He was a prominent member of the Friends of the Minneapolis Public Library, which established a John M. Ford Book Endowment after his death with the donations to be used as interest-generating capital for yearly purchase of new books. Though Ford's novels varied in setting and style, several were of the Bildungsroman (coming-of-age) type: in Web of Angels, The Final Reflection, Princes of the Air, Growing Up Weightless, and The Last Hot Time, Ford wrote variations on the theme of growing up, learning about one's world and one's place in it, and taking responsibility for it – which involves taking on the power and wisdom to influence events, to help make the world a better place. Otherwise, Ford's works are characterized by an aversion to doing things that have been done before. This is perhaps most notable in his two Star Trek novels, The Final Reflection (1984) and How Much for Just the Planet? (1987). The Final Reflection is the story of a small group of Klingons who prevent a war between the Klingon Empire and the Federation while the regular series characters are relegated to cameo appearances. (This novel introduced the fictional language Klingonaase.) In the comedic How Much for Just the Planet?, the Enterprise crew compete with a Klingon crew for control of a planet, whose colonists are not happy with this and defend their peace in inventive ways, which soon make everything a farce, including a Vaudevillian pie fight. The book includes song lyrics that satirize many 20th century stage musicals. Both novels present the Klingons in a more positive light, not just as the token evil menace of the week. Ford avoided repetition not only of the work of others, but also of his own work. Where many writers make a name for themselves by developing a known style that repeats in many books, Ford always surprised with his ability to use a variety of styles that best suited the world, characters, and situations he had chosen to write about. (John Clute expressed this in 1993 The Encyclopedia of Science Fiction as "Two decades into his career, there remains some sense that JMF remains unwilling or unable to create a definitive style or mode; but his originality is evident, a shifting feisty energy informs almost everything he writes, and that career is still young.") This might have limited his readership, however he was much respected by his fellow writers, editors, critics and fans. Robert Jordan, Ford's lifelong close friend, called Ford "the best writer in America – bar none." Neil Gaiman called Ford "my best critic … the best writer I knew." Patrick Nielsen Hayden said "Most normal people had the slight sense that something large and super-intelligent and trans-human had sort of flown over ... There would be a point where basically the plot would become so knotted and complex he would lose all of us." Much of his work is out of print, despite accolades; this appears to be a deliberate effort by his heirs, who did not approve of his writing. Casting Fortune (1989, Tor Books, ISBN 0-8125-3815-3), a collection of stories set in the Liavek shared world, reprints "A Cup of Worrynot Tea" and "Green Is the Color" and original story "The Illusionist"
With Darrell Schweitzer and George H. Scithers, Ford co-authored On Writing Science Fiction (The Editors Strike Back!) (1981, Owlswick Press, ISBN 0-913896-19-5; Wildside Press 2000, ISBN 1-880448-78-5), a writers' manual with advice illustrated by short stories that were first sales to IASFM. Ford wrote extensively for the Traveller (role-playing game). His works are still much beloved. Ford published a variety of short fiction and poetry, from short short stories that are essentially fantastic jokes, to novellas revealing a deep understanding of human frailties and emotions. 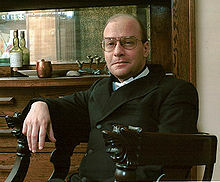 His poem "Winter Solstice, Camelot Station" won the World Fantasy Award for Short Fiction in 1989. Ford published some children's fiction under pseudonyms that he did not make public, and two children's gamebooks under house names Michael J. Dodge (Star Trek: Voyage to Adventure, 1984) and Milo Dennison (The Case of the Gentleman Ghost, 1985). Ford plotted three issues of the Captain Confederacy alternate history comics in the late 1980s and wrote issue number 10, "Driving North." Ford also contributed to The World of Robert Jordan's The Wheel of Time (2001, Tor Books, ISBN 0-312-86936-3), drawing some of the maps. Scared Stiffs with Bill Slaviscek (1987, West End Games, ISBN 0874310628), a module for the Ghostbusters Roleplaying Game. 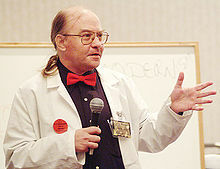 Ford further wrote Klingon manuals for the Star Trek role-playing game, and a number of RPG articles, which appeared in Autoduel Quarterly, Pyramid, Roleplayer, Space Gamer, and Journal of the Travellers' Aid Society. In The Final Reflection he described a chess-like game played by Klingons, klin zha, which has been adopted by Klingon fandom. 1989 Rhysling Award for Long Poem – also "Winter Solstice, Camelot Station"
1996 Theodore Sturgeon Award – also "Erase/Record/Play"
^ "John Milo Ford, September 25, 2006". United States Social Security Death Index. Retrieved February 16, 2013 – via FamilySearch. ^ "Ford's comment at a "four things" meme blogpost". Making Light. December 25, 2005. ^ Matthesen, Elise (September 25, 2006). "John M. Ford, 1957–2006". Making Light. ^ Matthesen, Elise (October 2, 2006). "The John M. Ford Book Endowment". Honour Your Inner Magpie. Archived from the original on April 25, 2015. Retrieved April 29, 2015. ^ a b c Burns, Eric (September 25, 2006). "Requiescat in Pace: John M. Ford". ^ "From the End of the Twentieth Century". NESFA Press. August 5, 2006. Retrieved April 5, 2011. ^ "On Writing Science Fiction (The Editors Strike Back!)". WorldCat. 1981. Retrieved April 5, 2011. ^ "Against Entropy". January 20, 2007. Archived from the original on January 5, 2011. ^ "1998 Minnesota Book Awards Nominees and Winners". St. Paul, MN: The Minnesota Humanities Commission. Archived from the original on August 19, 2002.